Used to treat severe tooth decay, root canal therapy is one of the most common dental procedures in the U.S. It’s estimated that around 15 million root canals are performed on Americans every year! However, some folks still don’t quite understand the purpose of root canal therapy and the benefits it can offer. The team at Buckwalter Dental Care, led by Dr. Joel Darrah, is here to explain the basics! A root canal is an operation used to remove large amounts of infected pulp, which is the tissue located below the enamel of the tooth. Infection of the pulp is caused by serious tooth decay or cavities in the rest of the affected tooth. Typically, root canals are only performed on seriously decayed teeth that cannot be treated with fillings or dental crowns. You would need a root canal if you have severe tooth decay and pain in your teeth. Typically, root canals are performed on patients who have neglected their oral care and are suffering from serious cases of decay. A root canal can stop this issue and restore your afflicted tooth to health, saving it from being lost and requiring replacement with dentures, a dental bridge, or a dental implant. Overall, the root canal process is quite simple. First, the affected tooth is x-rayed to confirm that the pulp is infected. Then, a local anesthetic is administered to mitigate pain and discomfort. A dental dam is placed around the infected tooth, and the procedure begins. Using a dental drill, a small opening is made in the crown of the tooth. Very small instruments are used to remove infected pulp and clean the inside of the tooth, the pulp chamber, and the root canals. After the infected tissue is removed and the tooth is cleaned, the root canal is filled, usually with a rubber-like material known as “gutta percha.” The tooth is then filled to replace the enamel. Sometimes a crown is necessary to protect the tooth from further decay and damage. You'll be fit with a temporary crown after your root canal and return for a second appointment where you'll receive your permanent crown. Save Your Natural Tooth - Root canal therapy can save your natural tooth, unlike a dental implant, dental bridge, or dentures. Chew More Efficiently - Once a crown or other restoration is in place, your tooth will be totally restored. You won’t suffer from pain or aches, and you’ll be able to chew as effectively as you did when your tooth was healthy. A Natural Appearance - A tooth restored using root canal therapy is indistinguishable from the surrounding teeth, allowing you to maintain a natural, beautiful smile. Protects Other Teeth From Shifting and Strain- If you lose a tooth, your other teeth will shift in their sockets and suffer additional strain when chewing and biting. Root canal therapy lets you save your natural tooth and avoid this additional tension. Root canal therapy is your best option if you have an infected or seriously decayed tooth! Come to Buckwalter Dental Care for Expert Root Canal Therapy! 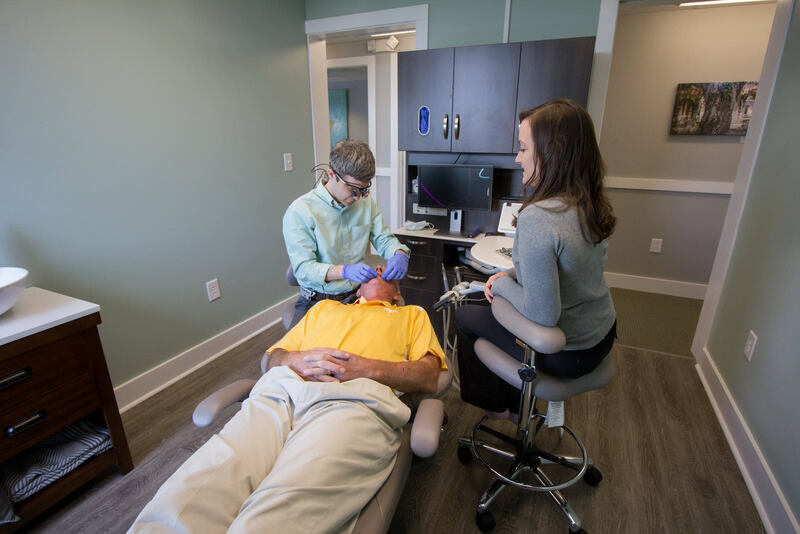 At Buckwalter Dental Care in Bluffton, Dr. Joel Darrah’s patient-focused care, vast knowledge of modern techniques, and his use of advanced technologies make him an excellent choice for performing your root canal therapy. If you are suffering from severe tooth decay and think you may need a root canal, don’t risk losing your tooth! Contact us today at (843)815-3232 to schedule an appointment, or visit our office at 31 Innovation Drive Unit 2, Bluffton, SC, 29910!